This year we're once again running our FEDS scheme (funded by Creative Skillset), aimed at giving young trainees an opportunity to learn on the job in film distribution, exhibition and international sales. Here, one of our trainees, Rebekah Taylor, working at Errol Flynn Filmhouse in Northampton, gives her impressions of the experience and why she wanted to join the scheme. In this piece Jo Comino, Marketing Manager for Borderlines Film Festival, reports on her 2016 trip to the wonderfully enjoyable festival that is Il Cinema Ritrovato. The full history of women's filmmaking has yet to be discovered. 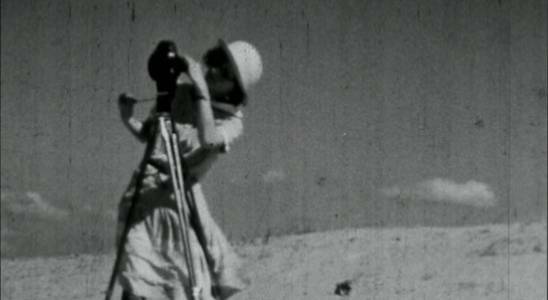 One place that helps us grow our picture of work on film by women are screen archives. We caught up with Sarah Hill, Senior Research Associate at the University of East Anglia ahead of Archive Screening Days. It might only be the beginning of summer but things are already hotting up in here. Click through to see our latest updates.